4th November – Lesson plans provided. 30 October – Event details posted. Although you don’t need to attend all the sessions, we recommend that you at least try to grasp what is being taught. You can download Mr. Dominique Arnold’s Bio-data here. 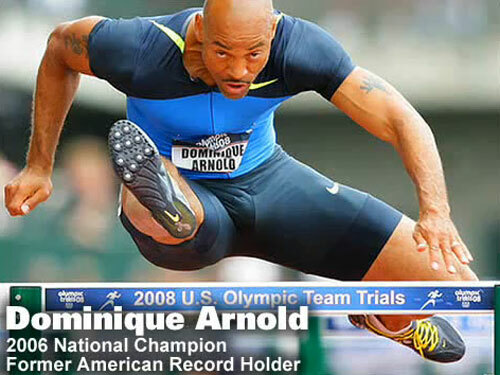 Dominique Arnold enjoyed his best year ever in 2006, which was highlighted when he set the American 110m hurdles record on July 11 with his time of 12.90 seconds in Lausanne, Switzerland. His performance bettered the previous standard of 12.92 set by National Track & Field Hall of Famer Roger Kingdom in Zurich on August 16, 1989, and equaled twice in 1996 by Allen Johnson, who won the Olympic gold medal that summer in Atlanta.